So the past couple of days have been stressful for various reasons. And my XYZ body part has been hurting, but nothing super serious, and manageable. I had mitts with coach Gunz on Wednesday and I admit I was kind of nervous. He runs a hard practice and I really wanted to impress him. ^^;; I did okay, though! And MAN, he knew evil stuff that burn out the body and make you feel like you’re in a fight…which is what I need at this point. I felt way more confident in myself after that session. 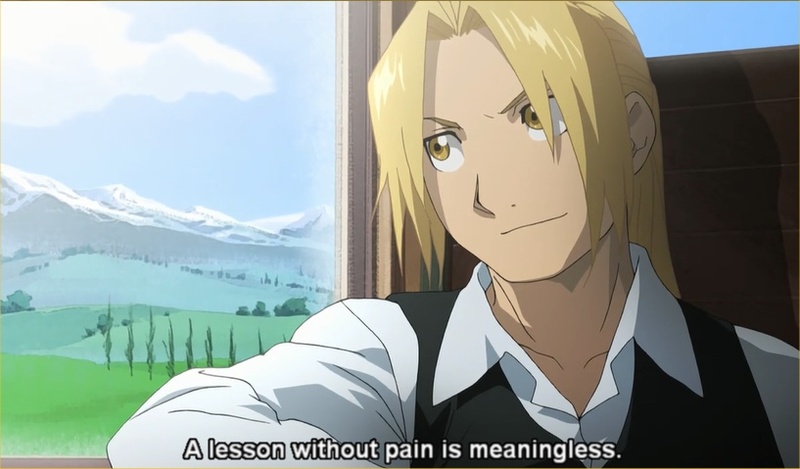 Wednesday night after teaching the kid’s class, I went home and finished the anime Fullmetal Alchemist Brotherhood. Wow, what an AMAZING series. Seriously, it had all sorts of deep messages and powerful imagery. I first watched it when I was in college, but when I heard the manga continued, I didn’t really feel like it was finished. Brotherhood, the continuation, is ridiculously superior. 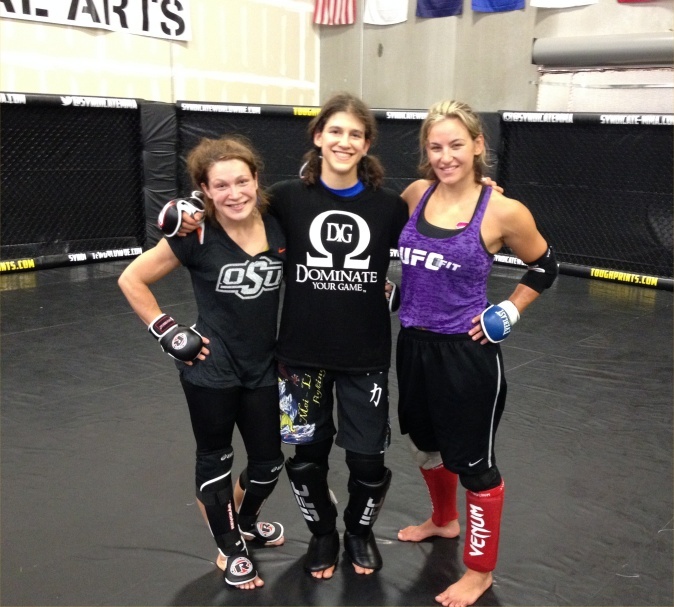 Anyway, today Miesha and Chel-C (twitter @chelcBailey) came to Syndicate to help me out with sparring for my training camp. Many thanks!! 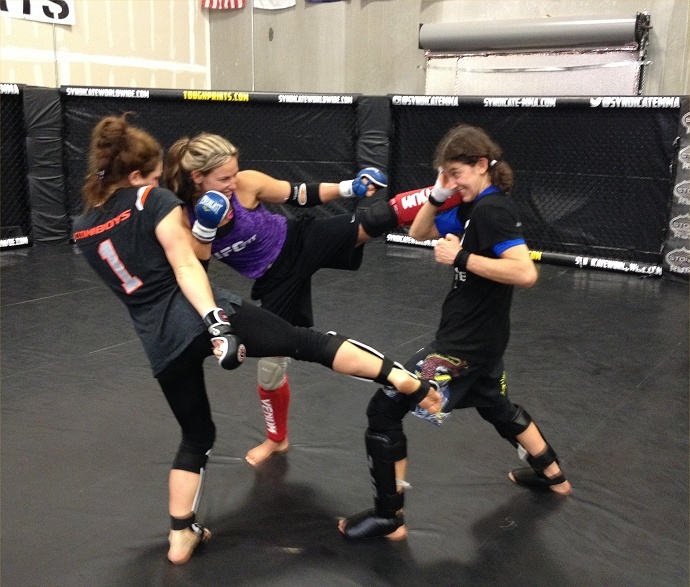 😀 Along with Jamie, they shark-tanked me kickboxing and MMA-wrestling-grappling. That means I stay in the middle, but they alternate out every two minutes so a fresh guy (gal) came in. The shark-bait gets tired REALLY fast. But I was okay! 😀 rar! 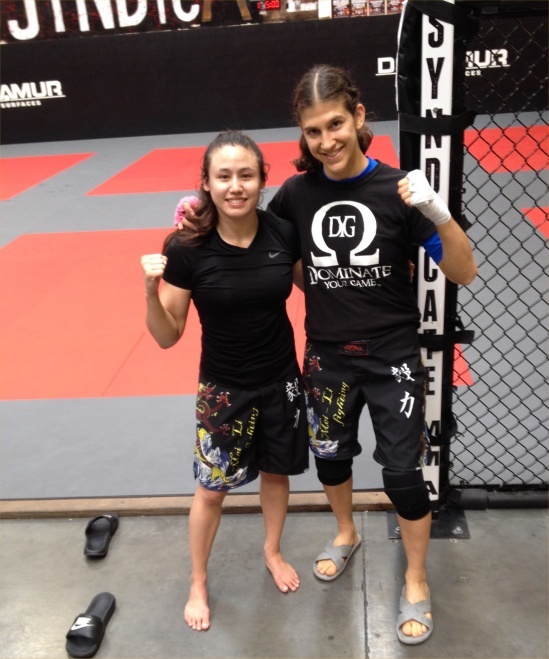 I love sparring with Chel-C. She is awesome and talented. Then I went home feeling battered (like a battered fish! shark-bait? 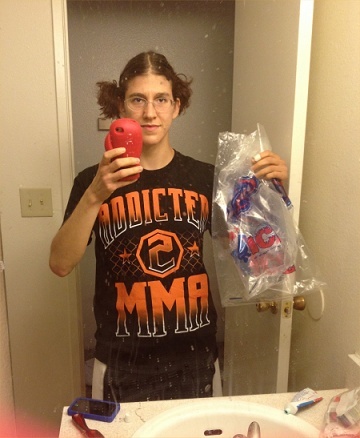 HAHAaaaaa) and took an ice bath. 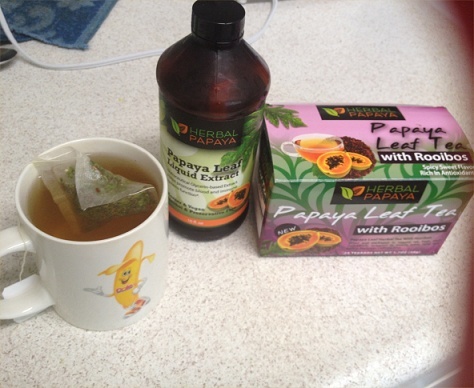 And then I was FREEZING so I drank some hot Herbal Papaya tea with healthy immune-supporting extract in it.